Fall for this cute coat hook collection by Fiona Hewitt ! 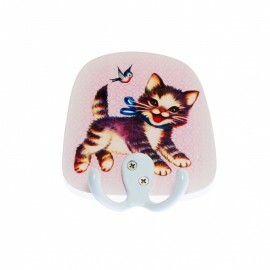 The cat hook is definitely the cutest, it will be ideal to decorate your child's bedroom ! Fall for this cute coat hook collection by Fiona Hewitt ! 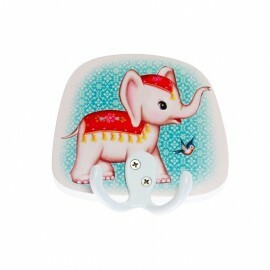 The elephant hook is definitely the cutest, it will be ideal to decorate your child's bedroom ! Fall for this cute coat hook collection by Fiona Hewitt ! 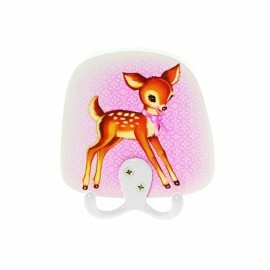 The Bambi hook is definitely the cutest, it will be ideal to decorate your child's bedroom ! Fall for this cute coat hook collection by Fiona Hewitt ! 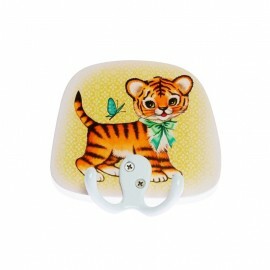 The tiger hook is definitely the cutest, it will be ideal to decorate your child's bedroom ! 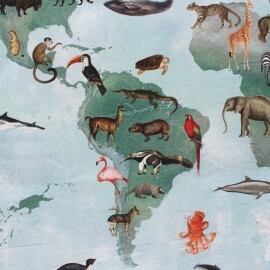 Discover this pretty small wild animals Planisphere cotton Panel fabric that will immerse you in a journey around the world to discover known or unknown wild animals. Important: This fabric is sold by panel of 40 cm on a width of 140 cm. The continents are overlapped each other, the planispheres are repeated several times on the width. 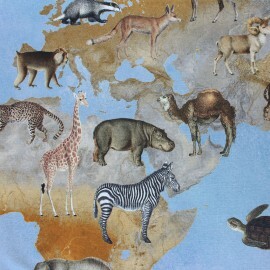 Discover this beautiful wild animals Planisphere cotton Panel fabric that will immerse you in a journey around the world to discover known or unknown wild animals. Important: This fabric is sold by panel of 65 cm on a width of 140 cm. The continents are overlapped each other, the planispheres are repeated several times on the width. 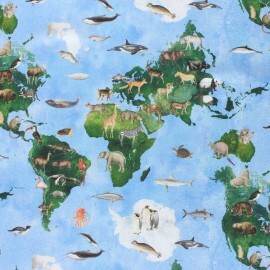 Discover this beautiful Planisphere of Wildlife Panel cotton fabric that will immerse you in a travel around the world to discover known or unknown wild animals. Make objects of original decorations with this fabric, like bags, cushions, footstools, pots .... 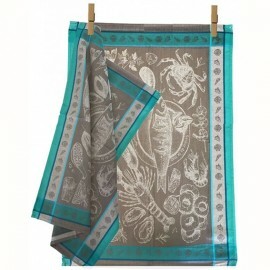 This fabric is sold by panel of 132 cm on a width of 140 cm. Choose a 2-in-1 fabric with this oilcloth with table protector reverse ! 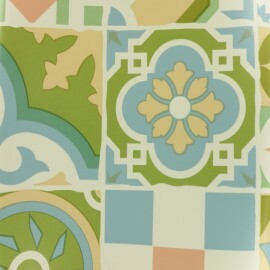 Decorated with multicolored tiles on a white background this pretty oilcloth with bulgomme reverse is ideal to protect your kitchen or dining room table. Thick and waterproof, it will bend to all your desires with simplicity! Choose a 2-in-1 fabric with this oilcloth with table protector reverse ! 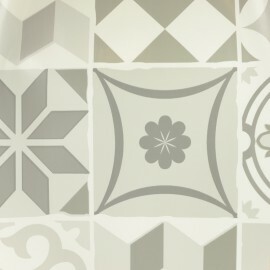 Decorated with grey tiles on a white background this pretty oilcloth with bulgomme reverse is ideal to protect your kitchen or dining room table. Thick and waterproof, it will bend to all your desires with simplicity! Discover the Artsy Braiding package to satisfy your desires of unique decoration and design. 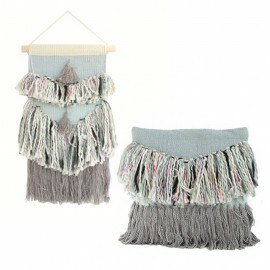 This decorative cushion and this high end wall decor will bring a current and very fashionable touch to your interior! Discover the Artsy Ethnic box to satisfy your desires of unique decoration and design. 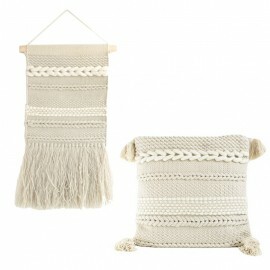 This decorative cushion and this quality wall decor will bring a current and very fashionable touch to your interior! Choose a 2-in-1 fabric with this oilcloth with table protector reverse ! 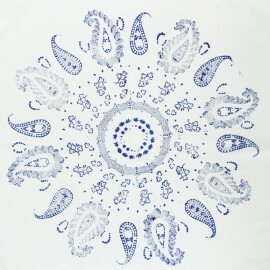 Decorated with silver herringbones on a white background this pretty oilcloth with bulgomme reverse is ideal to protect your kitchen or dining room table. Thick and waterproof, it will bend to all your desires with simplicity! 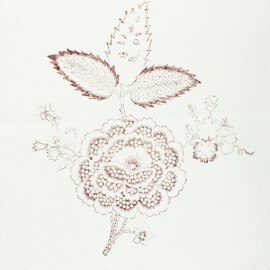 100% cotton sienna ink Flower handmade panel. This piece is unique and made in France by the Toiles de la Montagne Noire. This fabric piece will be ideal to make cushions and wall decor. The size of the canvas is approximately 48 x 48 cm. 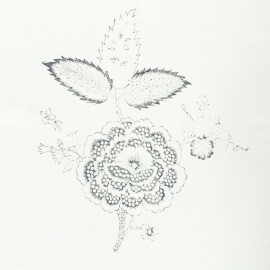 100% cotton ash grey ink Flower handmade panel. This piece is unique and made in France by the Toiles de la Montagne Noire. This fabric piece will be ideal to make cushions and wall decor. The size of the canvas is approximately 48 x 48 cm. 100% cotton sienna Rosace handmade panel. This piece is unique and made in France by the Toiles de la Montagne Noire. This fabric piece will be ideal to make cushions and wall decor. The size of the canvas is approximately 45 x 45 cm. 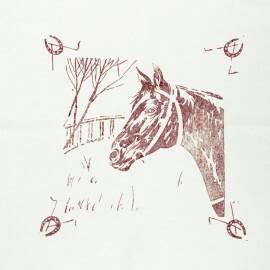 100% cotton sienna Horse handmade panel. 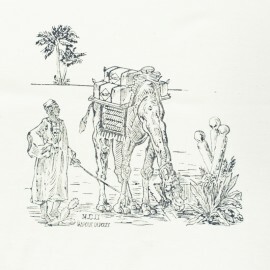 This piece is unique and made in France by the Toiles de la Montagne Noire. This fabric piece will be ideal to make cushions and wall decor. The size of the canvas is approximately 48 x 48 cm. 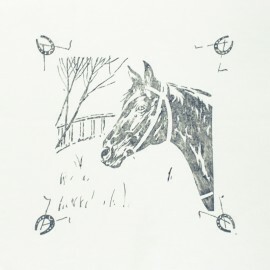 100% cotton ash grey Horse handmade panel. This piece is unique and made in France by the Toiles de la Montagne Noire. This fabric piece will be ideal to make cushions and wall decor. The size of the canvas is approximately 48 x 48 cm. 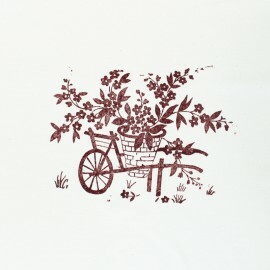 100% cotton sienna ink Wheelbarrow handmade panel. This piece is unique and made in France by the Toiles de la Montagne Noire. This fabric piece will be ideal to make cushions and wall decor. The size of the canvas is approximately 48 x 48 cm. 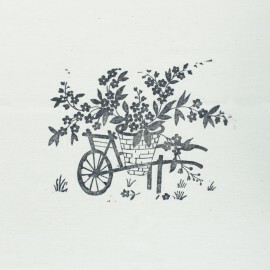 100% cotton grey ink Wheelbarrow handmade panel. This piece is unique and made in France by the Toiles de la Montagne Noire. This fabric piece will be ideal to make cushions and wall decor. The size of the canvas is approximately 48 x 48 cm. 100% cotton Sienna Sahara handmade panel. This piece is unique and made in France by the Toiles de la Montagne Noire. This fabric piece will be ideal to make cushions and wall decor. The size of the canvas is approximately 48 x 48 cm. 100% cotton Grey Sahara handmade panel. 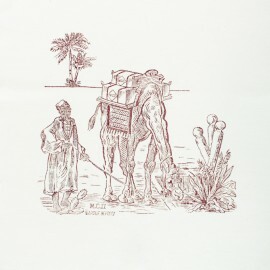 This piece is unique and made in France by the Toiles de la Montagne Noire. This fabric piece will be ideal to make cushions and wall decor. The size of the canvas is approximately 48 x 48 cm. 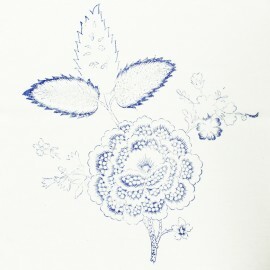 100% cotton royal blue ink Flower handmade panel. This piece is unique and made in France by the Toiles de la Montagne Noire. This fabric piece will be ideal to make cushions and wall decor. The size of the canvas is approximately 48 x 48 cm. 100% cotton royal blue Rosace handmade panel. This piece is unique and made in France by the Toiles de la Montagne Noire. This fabric piece will be ideal to make cushions and wall decor. The size of the canvas is approximately 45 x 45 cm. 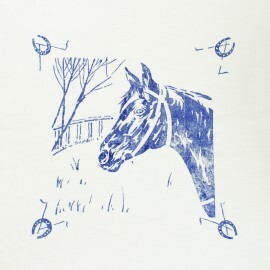 100% cotton royal blue Horse handmade panel. This piece is unique and made in France by the Toiles de la Montagne Noire. This fabric piece will be ideal to make cushions and wall decor. The size of the canvas is approximately 48 x 48 cm. 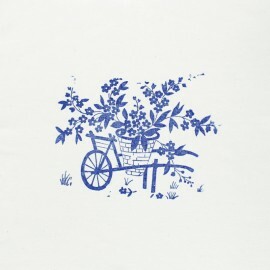 100% cotton blue ink Wheelbarrow handmade panel. This piece is unique and made in France by the Toiles de la Montagne Noire. This fabric piece will be ideal to make cushions and wall decor. The size of the canvas is approximately 48 x 48 cm. 100% cotton Blue Sahara handmade panel. This piece is unique and made in France by the Toiles de la Montagne Noire. This fabric piece will be ideal to make cushions and wall decor. The size of the canvas is approximately 48 x 48 cm. 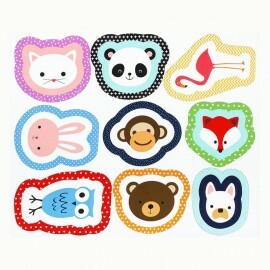 Make a beautiful Growth stick to measure the growth of your child with this panel of cotton fabric. 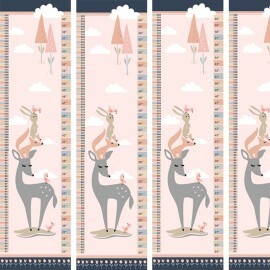 Add a decorative element to a child's room with this pink-toned fabric with adorable forest animals, ideal for a birth gift too. 31 cm by 110 cm panel, to measure a child from 24 to 60 inches (or in centimeters: 61 to 152 cm). This tea towel is 100% cotton, naturally absorbent. Mysterious supergirl or everyday wonder woman, this cotton fabric is for you! Slip into the skin of the famous comics heroine of the 50's ! 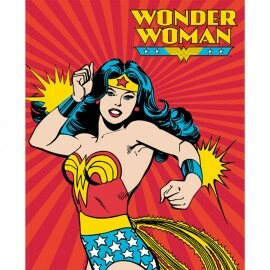 Very pretty 100% cotton fabric panel with the pretty Wonder Woman on a red background. 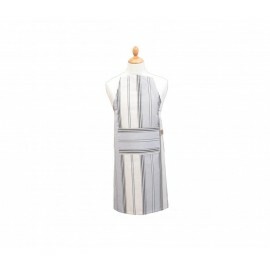 Discover the grey striped apron by Les Toiles de la Montagne Noire. Made in France without any chemicals ; this apron for adult is absorbent and resistant. It is designed within the French tradition with natural raw materials of French origin. 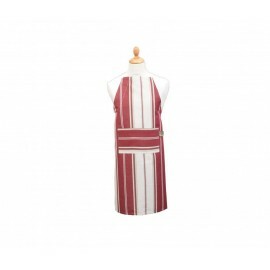 Discover the red striped apron by Les Toiles de la Montagne Noire. Made in France without any chemicals ; this apron for adult is absorbent and resistant. It is designed within the French tradition with natural raw materials of French origin. 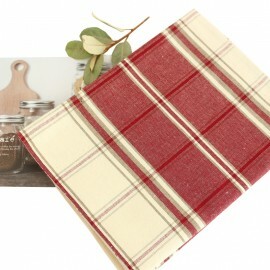 Discover the red checkered tea towel by Les Toiles de la Montagne Noire. 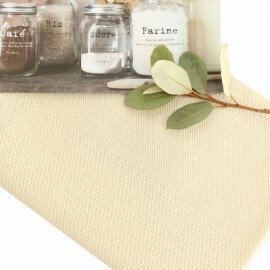 Made in France without any chemicals ; this 50x 70 cm tea towel is soft, absorbent and resistant. 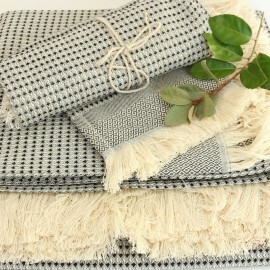 It is designed within the French tradition with natural raw materials of French origin. 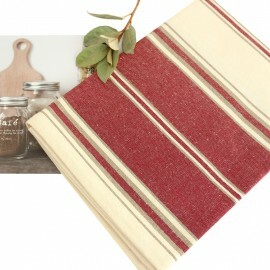 Discover the red striped tea towel by Les Toiles de la Montagne Noire. 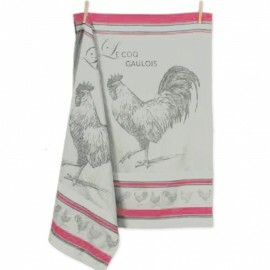 Made in France without any chemicals ; this 50x 70 cm tea towel is soft, absorbent and resistant. It is designed within the French tradition with natural raw materials of French origin. 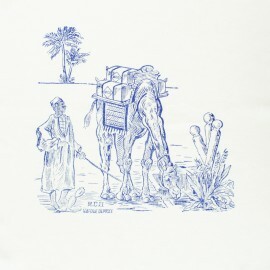 Discover the cotton / linen Les Toiles de la Montagne Noire tea towel. 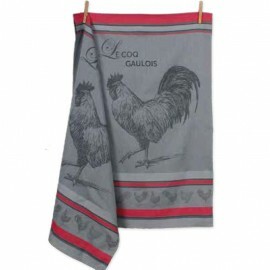 Made in France without any chemicals ; this 50x 70 cm tea towel is soft, absorbent and resistant. It is designed within the French tradition with natural raw materials of French origin. 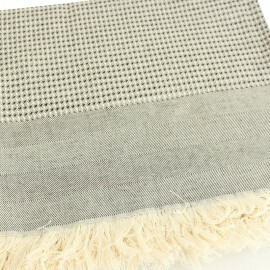 Discover the cream cotton / linen Les Toiles de la Montagne Noire hand towel. 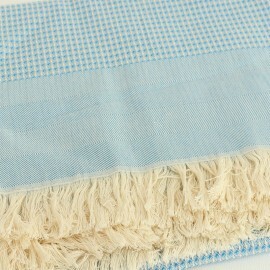 Made in France without any chemicals ; this 50x 100 cm hand towel is soft, absorbent and resistant. It is designed within the French tradition with natural raw materials of French origin. Discover the cotton / linen Les Toiles de la Montagne Noire hand towel. 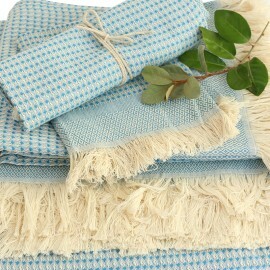 Made in France without any chemicals ; this 50x 100 cm hand towel is soft, absorbent and resistant. It is designed within the French tradition with natural raw materials of French origin. Discover the blue Les Toiles de la Montagne Noire blanket. 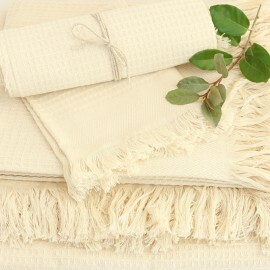 This blanket is made in France without any chemicals ; the fabric is soft, absorbent and resistant. It is designed within the French tradition with natural raw materials of French origin. Available in 2 sizes : 170 x 170 cm ; 170 x 250 cm. Discover the black Les Toiles de la Montagne Noire blanket. 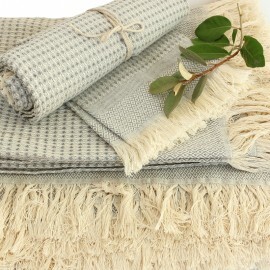 This blanket is made in France without any chemicals ; the fabric is soft, absorbent and resistant. It is designed within the French tradition with natural raw materials of French origin. Available in 2 sizes : 170 x 170 cm ; 170 x 250 cm. Discover our upholstery fabrics home decor accessories! Once you are done with refurbishing sofas, you can spend time thinking about your home decor. In addition, you can find the best deals for discount home decor and drapery fabric in our clearance fabric section. Fond of tapestry? 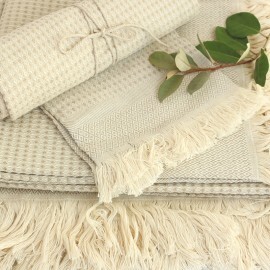 Ma Petite Mercerie offers a large range of towelling fabrics, tablecloth weights, and other home accessories. Either you want to give your home an elegant style or a cosy style, you will need our home decor pieces. Versatile and practical, our home decor bits are high quality and timeless. 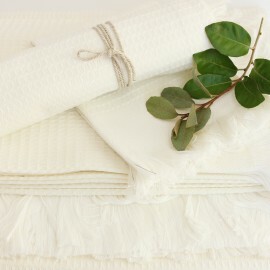 Also, our towelling fabric minimum order quantity is 10 cm. Nevertheless, you can buy our towelling fabrics by the meter or by the yard. Order a swatch prior to ordering your online fabric. Plus, we do offer great curtain fabric for you to create your very own home space. When it comes to home staging, you want to find the best upholstery and home decor fabric. Ma Petite Mercerie offers a wide selection of upholstery fabric for all of your DIY projects. Use your sewing machine and let the magic happens. Mix and match our home decor pieces with apparel fabric and furnishing fabrics. Use suede fabric and create cushion and throws. Drape your sofa with soft handmade blankets. 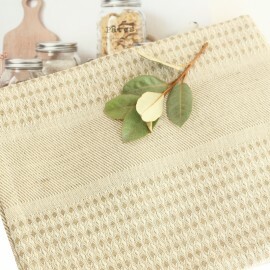 Then, create cute towels and napkins thanks to the best kitchen dish towel fabric. Choose our 100% cotton towelling fabric with grape print or tea time pattern. 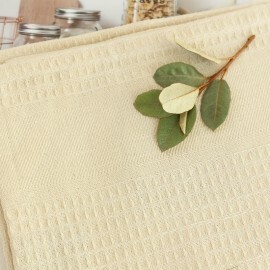 No need to master the art of sewing to create simple and nice dish towels, aprons, or cotton towels. 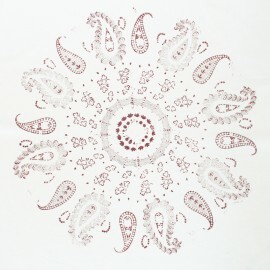 Once you have your handmade towel, you can stitch embroideries or add pipings, braid trimmings, and ribbons. Be creative! 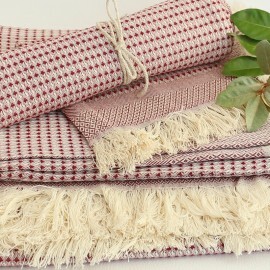 Mix and match our towelling fabric, with our other upholstery fabrics. Choose velvet, twill, leather, linen fabric, foam, quilted, piqué, and design your own creation. Add an original touch to your table thanks to our heart-shaped tablecloth weights in lime green, mauve or cream. Home decor is great, but don’t forget to furnish your outdoor space with decorator fabric and accents. Either you own a balcony, a garden or a bigger outdoor living space, you may want to make it your own. 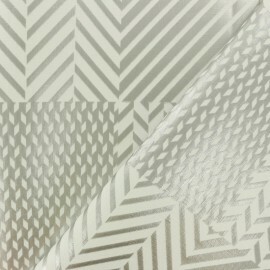 In order to do so, purchase the best outdoor upholstery fabric among our drapery lining or polyester decorating fabric. Finally, if you have a printed tablecloth, you can purchase our high-quality clear tablecloth weights and table protector fabric.